UPDATE: Storm victims in northern NSW are being told to contact their insurers, with the state government unlikely to declare it a natural disaster area. Emergency Services Minister Steve Whan said agencies were in the process of assessing the extent of damage in Lennox Head after the town was hit by a waterspout and 150km/h winds. 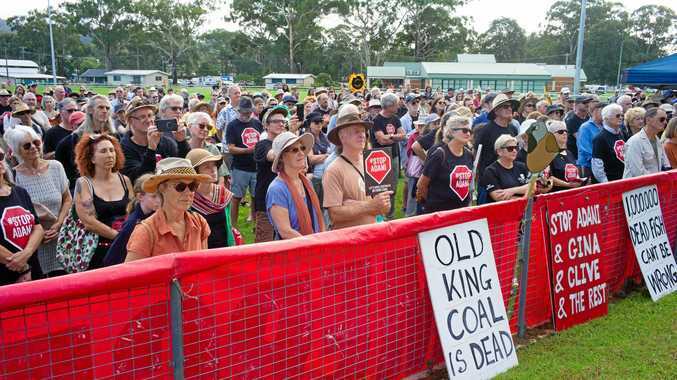 "At this stage it looks like most of the damage is to private properties rather than public infrastructure," Mr Whan said in a statement on Thursday. "That means it does not appear the event meets the fixed national criteria for natural disaster relief, but we will wait for the assessments to be completed before making any determination. "I encourage those with damage to their homes to contact their insurers or appropriate authorities to report the damage." The wild weather tore roofs from buildings and destroyed at least 12 homes, leaving six people injured. The town has since been shut down with downed powerlines cutting electricity supply to about 500 homes. Lennox Head Mayor Phillip Silver was expected to appeal to the minister to make a natural disaster declaration. Such a declaration typically means that councils, not-for-profit organisations, small businesses, primary producers and some other organisations are able to apply for funding or loans to aid essential repair works. Mr Whan said Community Services could provide assistance for low-income earners who are uninsured and whose primary residence has been damaged. "This assistance helps with the cost of replacing essential household items and structural repairs," he said. "People can contact the disaster welfare line on 1800 018 444." The State Emergency Service (SES) said the storm caused "very significant damage" and a number of houses are beyond repair after a waterspout moved across the coast. SES Region Controller of the Richmond Tweed Region Scott Hanckel said there were 82 requests for assistance. "A number of houses are obviously write-offs," he told journalists, adding that power infrastructure was also affected. At last count, about 12 homes had been demolished. 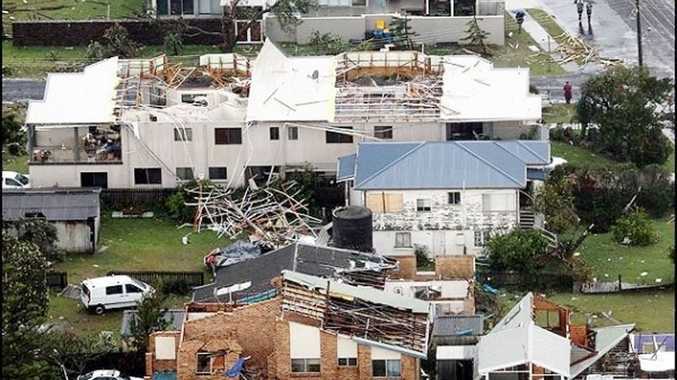 The State Emergency Service has responded to more than 80 calls for assistance in Lennox Head this morning after a tornado ripped through the coastal village. It has been reported up to four waterspouts formed off the coast this morning about 7.30am. Minister for Emergency Services Steve Whan is also set to visit the area this afternoon. SES Richmond/Tweed regional controller Scott Hanckel said about 30 homes had been significantly damaged, with some homes completely destroyed. Mr Hanckel said another problem emergency services on the ground faced was damage to the power infrastructure. Country Energy crews are out fixing connection problems, with some areas still cut off. Early this morning there were reports of missing people, but everyone in the township has since been accounted for. Police have advised residents to stay inside their homes and to contact the State Emergency Service on 132 500 if they need help, or call Triple-O in an emergency.